Chefs wear a specific type of clothing. They cannot just go and choose to wear any clothing item because chefs are in the kitchen for a purpose and that purpose is always unique. 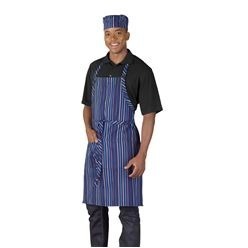 Giftwrap knows and understands the demands of chefs and therefore, offers a large variety of chef's clothing to meet and match their needs. 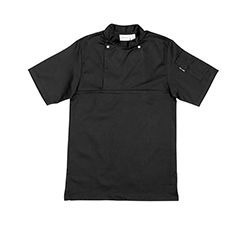 Available at Giftwrap are chef's beanies, chef's coats, chef's hats, chef's jackets, chef's necktie's, chef pants and chef's utility pullover. Offering two different types of beanies, these beanies are made out of poly cotton that ensure easy wear. Both beanies are usually very comfortable to wear and ensure a steady and comfortable fit. 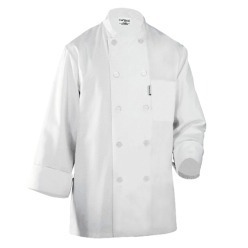 On the other hand, in chef coats, you can find chef jackets, short sleeve jackets and chef coats. Moreover, there are also chef hats available. 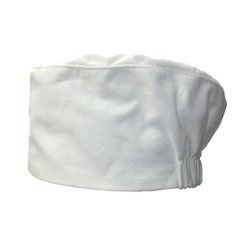 All of these chef hats are made out of unique materials that ensure the chef's safety while they are in the kitchen. 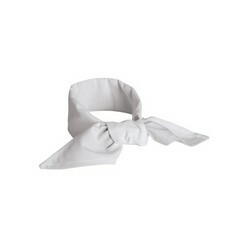 You can find the chef hats in varying varieties at Giftwrap. Finally, the last four items available in chef's clothing at Giftwrap are jackets, neckties, pants and utility pullovers. 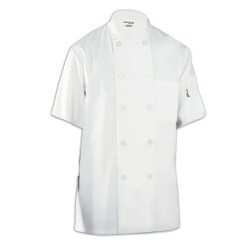 The chef jacket involves short sleeves double breasted jacket that chefs can wear at all times while they are in the kitchen whereas the chef pants involve chef pants, baggy pants, basic pants and pin stripe. 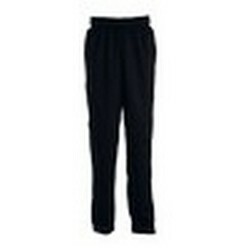 The variety in pants is incredible and you can easily find one that suits your needs. Lastly, utility pullovers are the final offering as far as chef's clothing is concerned. The utility pullovers are made out of poly cotton and these are rust free snaps available in short sleeves. All the items in chef's clothing are unique and the best part is that each category has an incredible variety so you can find your choice of selection without much difficulty.